It’s been a busy couple of years for German publisher Flaregames. 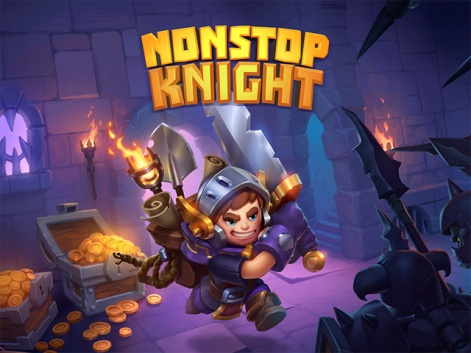 The company has had big successes with Kopla’s Nonstop Knight, a studio it would then acquire and expand upon the IP with Nonstop Chuck Norris. It’s also worked with developer Limbic to release the free-to-play Zombie Gunship Survival. Just last year it announced the Flare Accelerator, a $21 million incubator aimed at helping developers validate their games and bring them to market. The first partner to be revealed was Sweet Nitro with its upcoming title Flick Arena, with more announcements from the programme yet to come. It all led to the company picking up the Best Publisher accolade at the first ever Mobile Games Awards. And now the company has set its sights on becoming truly global with a company rebrand (you can see the new logo below). On top of that, it's signed a big new partnership with Chinese publisher and mobile ads firm Yeahmobi to help developers get their games released in China. 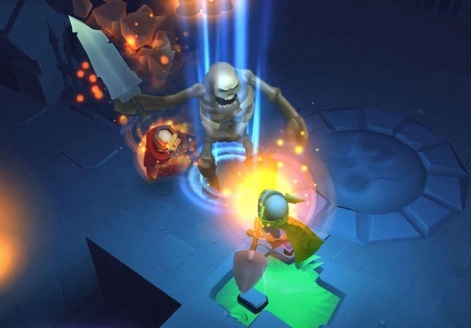 Flaregames has already found some success of its own in China, which is Nonstop Knight's biggest market in terms of revenues, but it’s still proving a tough sector to crack for it and other devs. 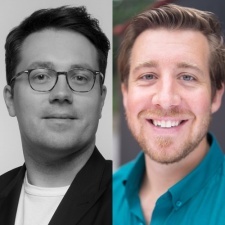 “Like most developers and publishers, we look at Newzoo’s last report on a regular basis, which says Asia is close to 50 per cent of the video games market, and China alone is 25 per cent,” Flaregames marketing VP Mickael Bougis tells PocketGamer.biz. Through this new partnership, Flaregames and Yeahmobi want to make the China publishing process “seamless” for Western studios. “China’s publishing market is, to say the least, complex, fragmented, and inefficient,” says Yeahmobi’s China publisher director Everett Wallace. “Current industry-standard China publishing deals only compound that challenge with broken and outdated fundamentals that focus on forcing risk and hedging around a lack of trust and transparency. Western studios end up taking large risks, with a lack of control, for illusive returns. “The solution Yeahmobi and Flaregames are creating is a collaboration, built with the foundational DNA of both Western and Eastern thinking and knowledge. The strengths of each company match quite well: Flaregames has built widespread industry respect with a consistent roster of phenomenal games, a sophisticated internal machine at each stage, and a great approach to partnerships. The challenges facing developers trying to break into China are numerous. Bougis says the five biggest hurdles he sees are distribution, regulation, access to media, the ability to adapt to local users, and securing a fair deal. China’s publishing market is, to say the least, complex, fragmented, and inefficient. Unlike in the West where the App Store and Google Play are the main distribution channels, China’s market is much more fragmented, with dozens to hundreds of stores to release on and platform holders to work with. There are numerous regulations to contend with meanwhile, as every game needs a licence number from the Chinese authorities - something the government is particularly hot on right now. When it comes to marketing, developers will need to understand the local unique media channels. And then there’s finding the right partner. Another big issue with the Chinese market is that of cloning. Local publishers are able to rapidly develop copycats based on other hit titles, often to shut out competitors who are setting new trends. Wallace says piracy and cloning are “sophisticated and endemic” in China, not excluding some of the largest local players. But he has advice for developers. “Two real components to position yourself to not be at a disadvantage from the start: release in China on both platforms simultaneous or near simultaneous to global launch, and ensure from day one that the game is adapted to local tastes and supported by local marketing,” he explains. “Otherwise, you’re fighting an uphill, reactionary battle to compete with copycats, and to protect your IP in a country that isn’t well-known for IP protection. Preparation is key and I would say the number one reason why developers experience disappointment in China. One important aspect of publishing in China is also setting the right expectations. Releasing in the market isn’t about topping the charts, but generating sufficient enough revenues to make it a worthwhile endeavour. Bougis says many Western developers and publishers either see China as a gold mine and invest a lot of money upfront, or as a small opportunity that’s not worth the money. “The truth is probably somewhere in between,” he states. To help create a more simple process for publishing in China, as well as harnessing their own expertise, Flaregames and Yeahmobi are looking to speak with developers who have had experience - good or bad - of releasing a game in the country, to get a wider look at the challenges and opportunities. The two companies are also preparing to launch a brand new title in China as early as June 2018 to get a close-up look at the publishing experience and the running of a live game. Both firms hope to gain better first-hand knowledge of the entire China publishing process from start to ‘finish’. From this, they aim to finetune the services they offer others. “Put short, we’re crafting a publishing solution that will solve the following problems,” explains Bougis. “Preparation: This is key and I would say the number one reason why developers experience disappointment in China. By engaging in the market early on and speaking the developers‘ language, we increase our chances of a more sizeable commercial impact when new games are released. “Next, distribution and regulation: We can deal with this early enough to execute on a same-day global release in order to maximise impact. Wallace adds: “We are also resolved to change the standards of how a ‘China partner’ acts – focusing on constant clear communication and setting a very high bar of transparency.